Then last October, I was having lunch with my friend Maggie in a you-have-to-go-there kind of bistro in London. She remarked happily on HBG’s growth and success, I replied with my usual reply, knocked on the table, and looked down at my plate to fork the next amazing mouthful. After a couple of seconds, I realized that Maggie had gone quiet. I looked up and saw that she was giving me an interesting look that I hadn’t seen on her face before. And there it was, laid out on the table for me. I built this thing, and my team and I have worked really hard to grow it. And it was my responsibility to own that. And when I thought about it, I realized that that’s a genuine source of pride. Because really, aren’t we (as people) a lot more proud of things that we work hard for than things that just fall in our lap due to “luck”? It’s hard to shout it, though. Research Pride Month is all about purposefully sharing what we work hard on with others. As a group of (mainly) introverts, we prospect development professionals don’t tend to pipe up about our successes. But we need to, and it’s important: no one else is going to speak up for us – and no one else should have to speak for us. You are uniquely qualified to be an advocate, and we need advocates everywhere: for recognition, job security, professional growth, a seat at the table, a voice in the wider industry, compensation parity – just to name a few reasons. We work hard. And frequently we work from one report to the next, one event to the next, one request to the next. So sometimes we forget to push back from the desk, take a breath, and take a minute to reflect on everything we’ve accomplished personally and as a profession. Prospect development pride month is a chance for us to take a step back and do just that, and appreciate each other. Who do you appreciate? Who has been a mentor to you? Tell them. Take 5 minutes and just do it. What have you done this past year that was innovative? Own it. Be proud. Find a way to tell your manager. And your colleagues at a conference. Whose APRA or chapter article was interesting or informative or helped you do your job better? Retweet it. Like it on Facebook. Share it on LinkedIn. There’s more: Research Pride Month is also pride of place. I’m chairing a panel at the NEDRA conference next month with (among other awesome folks) my friend and colleague Patty Kelleher, who is Director of Prospect Management and Research at WGBH. We have to submit bios to NEDRA for the online brochure, and today I received hers to forward along. Instead of the traditional litany of jobs or flat description of where she works, Patty’s bio described her employer as a “dynamic media force for good” “on the cusp of its most ambitious comprehensive campaign to date.” Well yes! I thought, Way to be proud of your nonprofit! Not just pride in what we do, but for the place we do it. And really, if you’re not proud of where you work, if you’re not 100% behind the mission, it’s time to find a new place. Because you’re not going to do your best work, and you’re not going to feel personal pride about that. And chances are good that it will show in all the ways you represent yourself. 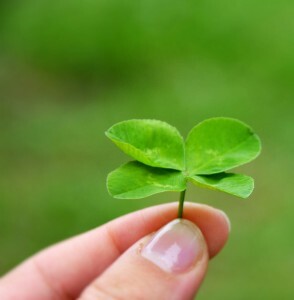 Today is St. Patrick’s Day, so chances are good that you’ll probably hear at least one person mention “the luck of the Irish.” When you do, take a moment to reflect on how that luck was actually built on a mountain of hard work by thousands of dirt-poor Irish folks who took a desperate gamble to leave their home, family, and everything they knew, to make a new place (like my beloved Boston) their home. That hard work had a dynamic impact that is felt in this city year-round and is celebrated annually at the Boston St. Patrick’s Day parade, happening this Sunday. You’d better believe that there will be a mountain of pride there!